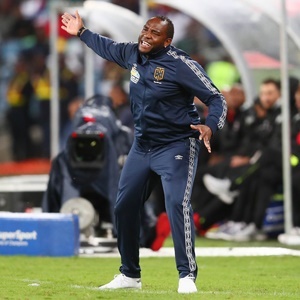 Cape Town - Cape Town City coach Benni McCarthy believes the 2-0 defeat to Kaizer Chiefs in Sunday's Nedbank Cup quarter-final was a result of crumbling under pressure. The Citizens were defeated at a sold-out Mbombela Stadium courtesy of goals from Hendrick Ekstein and Dumisani Zuma. The result means Chiefs advance to the semi-finals where they will face Chippa United, who saw off Bidvest Wits. In the second semi, Golden Arrows are set to face TS Galaxy. Speaking to reporters after the game, McCarthy said: "The Chiefs fans came in numbers to support their team and their players delivered. "I just think we crumbled under pressure from the packed stadium and everyone rooting for one team, so you are playing against 12 men literally and it got the better of our players and I think too many players we not on their A-game. "We expected a lot from them but it was a tough one for us because it was a big opportunity, but Chiefs made their luck and they made us to probably play the way we did and fortunately they are in the next round. 'I like to be on top, but we started okay it was not that bad. You could see the intentions from Chiefs it was clear and what I was expecting from the players we didn't do it, I think the occasion was too big. "We started playing into Chiefs hand when the build ups didn't work then you start seeing players do things they are not supposed to do, and we lose that cohesion and team effort and we started chasing. "We were not ourselves, we could not build up from the back and it was not because of Chiefs high pressing game, the occasion beat us."